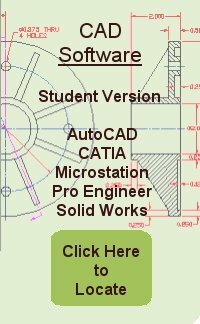 World Class CAD is based in Ohio in the United States of America (USA). Many of the links to employment are in the central US and right in Ohio. For many young people coming out of school with Architectural, Design and Engineering degrees, I have found a percentage of them that are not ready to settle into a cubicle to draw floor plans, design parts or any of the other responsibilities a graduate must do. They want to be in the field. Some graduates end up selecting the U.S. military to be their employer for their first professional job out of college. They typically enlist, but many have an eye on Officer training if they like the experience. As their recruiter assists them in picking a Military Occupation Specialty (MOS), they typically choose an engineering area of expertise. As an additional bonus, they go into the armed forces at an advanced rank because of their degree and the service can have programs to pay for their college loans. Depending on the branch they prefer, many other benefits are available. For my graduates opting for this life style, the decision is relatively easy when they see the advantages. Listed below are some of the Engineering specialties in the U.S. Army. The 21H, 21L, 21S, 21T and 21U jobs all require some knowledge of engineering graphics in the Engineering Construction Unit. "The Army builds and repairs many airstrips, docks, barracks, roads, and other projects each year and the Technical Engineer is essential to this process. Technical Engineers conduct land surveys, make maps and prepare detailed plans and drawings for construction projects. They also occasionally provide surveys and maps that are used to locate military targets and plot troop movements. Piecing together aerial photographs to form large photomaps"
Every year, I have two or three graduates picking the Army, Navy, Air Force, Marines or Coast Guard as a full or part time employment opportunity. As they keep in touch, by email or personal visits, they have great experiences to share. I would have to say they made the right choice for themselves. Charles Robbins is a retired Armor Officer after 21 years of service in the U.S. Army and National Guard.